As a program director, you know that it’s important for your curriculum to stand out above your competition. Not only will Character Clubs teach the children in your care the 6 Traits of Character – Responsibility, Kindness, Perseverance, Respect, Teamwork and Integrity – but it will help you set yourself apart from other private schools, daycares or other organizions in your area. Character Clubs reinforce the Traits of Character that Parents teach in their own home. 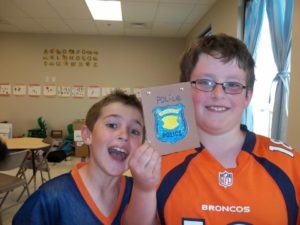 Character Clubs deliver a fun, interactive curriculum that gets kids ages 3-12 to participate in developing strong character traits. Character Clubs come complete with class instruction guides, in-classroom activities, and supplemental materials – so your teachers are ready to go, right out of the “box”. Character Club Kids love to bring stories home to their parents of a day spent doing projects for the community around them, participating in fun team-building games, and sharing the importance of strong character. Character Clubs uses the foundation of fun to create strong, kind, respectful kids that understand the importance of perseverance and teamwork – ensuring them a successful start in a very complicated world. 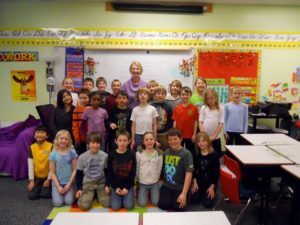 The Character Club curriculum can be used as a “stand-alone” class, or woven into the classroom’s overall plans throughout the school year. It’s also a great After School Program or other Child Development programs in your organization. Character Club provides online support for teachers and counselors – so they always have access to fresh, fun ideas for their kids! Character Clubs is currently rolling out its curriculum for the Winter/Spring 2017 session. Is Character Clubs right for your Organization? Character Clubs are designed for children 3-12 years old. This curriculum is right for you if you’re ready to stand out from the crowd, and take part in building tomorrow’s leaders. To find out more about bringing Character Clubs to your organization, please contact Brian Caffarelli at brian@characterclubs.com.